White vein kratom is well known as the most energizing of all varieties from this famous herb. 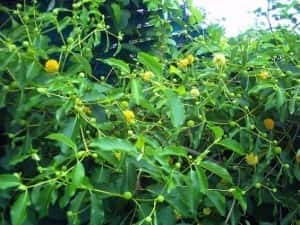 The battle for top favorite among all of the strains of Mitragyna Speciosa won’t be settled any time soon – users from across the spectrum each have their own picks. These preferences are often highly personal and are influenced by countless factors including lifestyle, quality of product, and tolerance. However, all users agree that white veins are the most exciting of all kratom strains. Let’s explore why with some basic background on this very popular stimulant. Any discussion of kratom benefits begins with a color. This is not a marketing ploy thought up by an advertising executive. 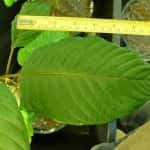 In fact, the actual veins in the leaves of every kratom plant are given a color by nature, and this inherent identifying mark will give you a strong indication of the effects of the plant. The two main “brands” of kratom, from mother nature’s perspective, are red and white. The veins running through each leaf bear these distinct colorations. Red vein kratom is the quieter and more low key of the two types. Its effects are known to be deeply calming and relaxing. Symptoms of stress and anxiety disappear, replaced by an overriding state of mental and physical restfulness. Pain relief from both short and long term causes contributes to this feeling of pure relaxation. 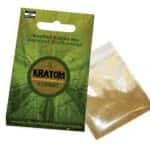 On the other hand, white vein Kratom powder is like the exciting and fast-paced older brother of the red. White leaves are known to be intense stimulants. They can erase chronic pain just like the red leaves do, but the overall sensation a user can expect is high energy. Concentration and focus are said to be increased, and sexual desire and performance are said to be powerfully heightened. White leaves are also regularly taken to ease social anxiety and depression-related symptoms. For this reason, it’s known as the more social of the two strains. Why Do People Use White Vein? It provides all day energy for work. It gives mental focus to finish creative projects. It serves a confidence boost for attending a party. It delivers enhanced sexual stamina. It offers a way out of debilitating depression. It cuts the chronic pain that prevents people from enjoying physical activity. It promotes wakefulness for people who feel lethargic. Even though white vein Kratom leaf is very popular among users, you may have trouble finding as much of it online for sale as the red strains. It is known as the slightly rarer of the two. So, when you find a strain that you like, it might be a good idea to stock up. One of the most popular varieties of white leaf, year in year out is White Borneo kratom. This well-established strain has a long lineage on the island paradise of Borneo in Indonesia. Users love its natural and balanced feeling energy. Some have described it as similar to the ultimate cup of coffee, except without coffee’s famous jitters or late day crash. In fact, white kratom is regularly substituted for morning coffee by many users. Its effects are far more long-lasting and smooth, and enable a full day of fast-paced, productive activities. Are Enhanced White Leaf Products Too Strong? One of the popular variations in commercial kratom products are called “enhanced.” This name simply means that a regular strength kratom powder has been “sweetened” by adding up to 25 percent of a highly concentrated kratom extract. As a result, you need a smaller dosage of White Kratom leaf. When you are already starting with a high-intensity, high-energy product like white leaf, what will enhancing the powder do? Of course, exact effects depend on the strength and strain of the extract, but the combination will mainly serve to intensify the effects you are already feeling from the white leaf, give them a faster onset time, and extend the duration of the effects. 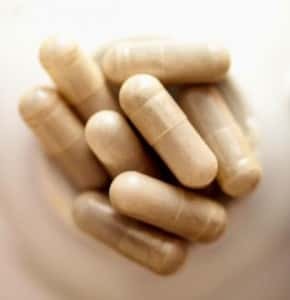 Anyone who is experienced with white vein kratom capsules or powder will most likely enjoy these enhanced effects. 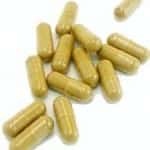 However, there is a catch – as you increase the dosage of any kratom product, the benefits tend to become more sedative in nature. This is even true for the white variations. So, if your dose leans toward the higher end of the spectrum, you may lose some of the more energetic qualities that have drawn you to white leaves in the first place. 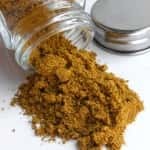 So, as with any herbal remedy, proceed slowly and make chances to your routine (like adding extracts or enhanced powders) thoughtfully and respectfully of the signals your body sends you. And if you need a breather from the thrills that white kratom provides, change up your routine and try a red strain – it will definitely help you relax.